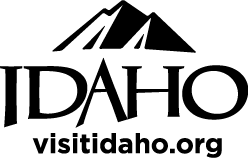 For Idaho Craft Brewers Month the brewing district is collaborating on a beer special! From April 4th-6th we will be offering a limited edition Idaho Brewers United glass for $1 when you buy a beer at Hunga Dunga! Afterwards, brewery hop to Moscow Brewing, or Rants and Raves to receive a free 5oz pour when you bring in your glass! Glass supplies are limited so be sure to grab one before they run out!